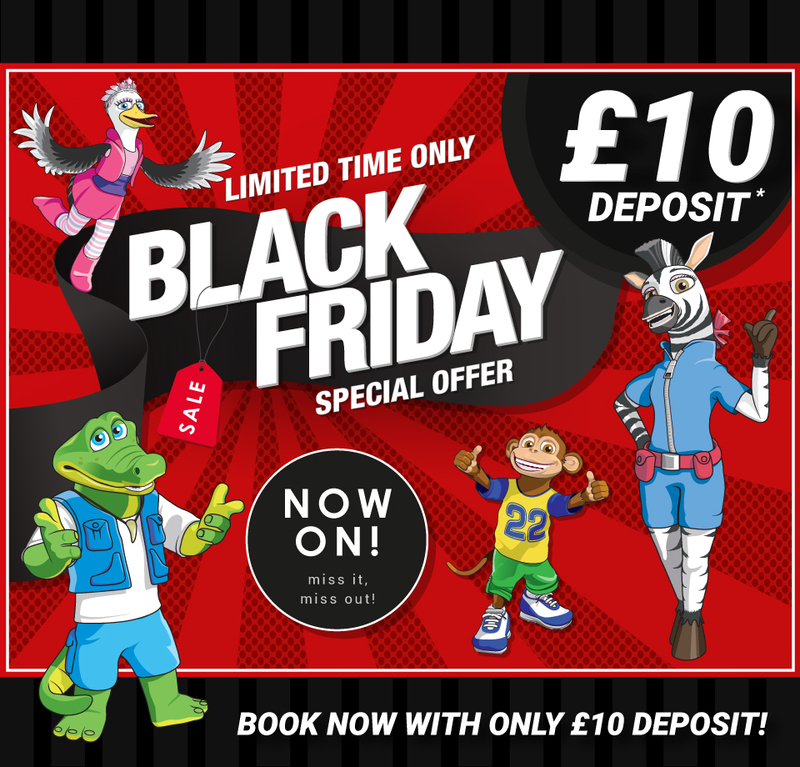 Black Friday 2018 has come around and Holiday Park operators across the UK are joining the party by offering a series of great deals, offers and discounts on holiday park and lodge holidays throughout the UK. But don’t hang around, the Black Friday Deals won’t last, so be sure to have a look and get your holiday booked before it’s too late! Pontin’s Black Friday & Cyber Monday Sale is back with hundreds of dates at incredible prices, but only for 1 week! Plus, as an extra special offer, we are giving you the chance to book your 2019 break today and only pay £10 deposit. The sale ends on Wednesday 28th November at 11am! So, why not grab yourself a bargain and bring the family to Pontins in 2019? Get up to £50 off selected 2018 and 2019 breaks at Hoseasons with deposits for as low as £25. Whether you’re whisking the family off for a bit of peace and quiet on a lodge escape, enjoying some family fun and adventure, or maybe you’re looking to take to the water on your next break away! You could even opt for a cheeky cottage retreat! Whatever the choice, get browsing and bag your Black Friday bargain now! This offer ends 27th November.